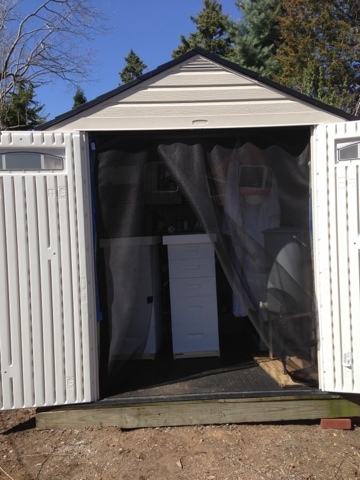 Painting some of my new supers and hives and getting ready for 2 new packages of Bees I am expecting this Spring. I hung the boxes along a fence to paint. I only had to paint the outside. 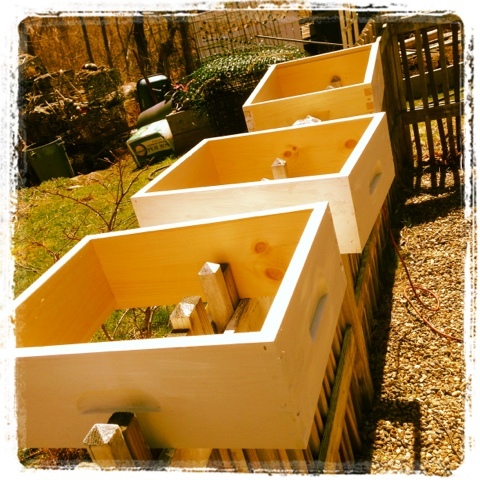 I decided white was a really nice color for the bee hives because it reflects light and keeps the bees cool. 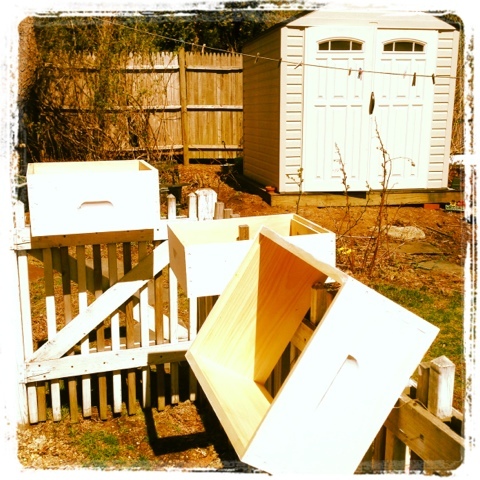 I used a Latex Exterior Paint for the project. I have the idea that I might want to stencil on some designs with some interesting colors and I am researching making my own stencils for the effort. 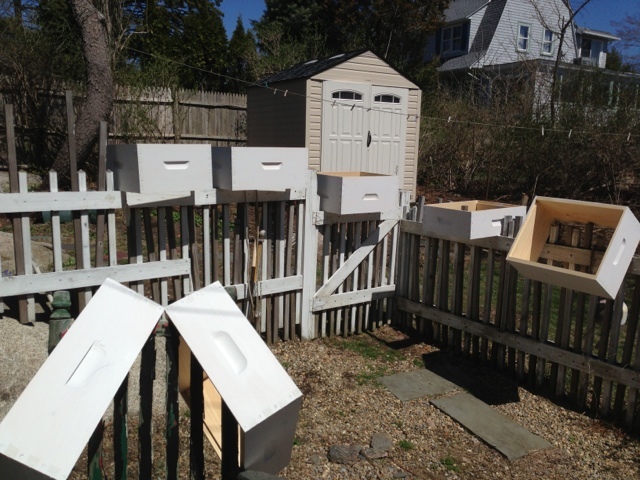 When the new hives were dry enough, I stacked them in my honey house to dry overnight before seeing if they might need another coat. 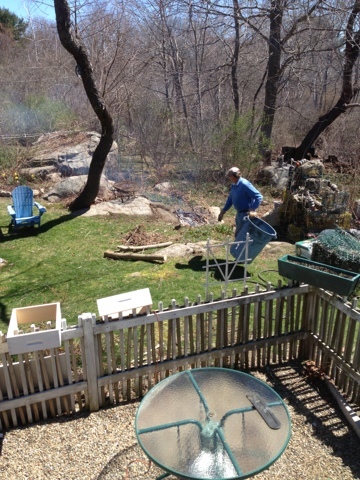 In the foreground you can see my 2 established hives. 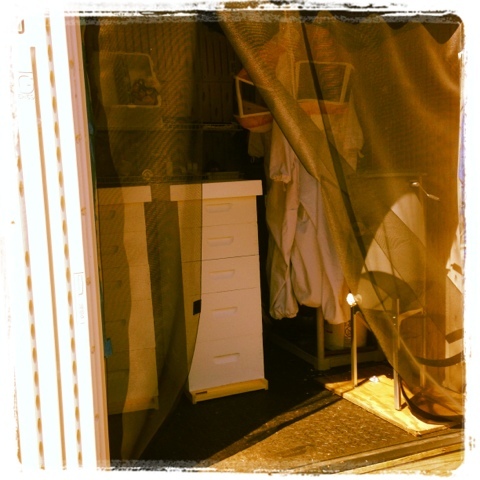 hives drying, my suits, and my extractor. 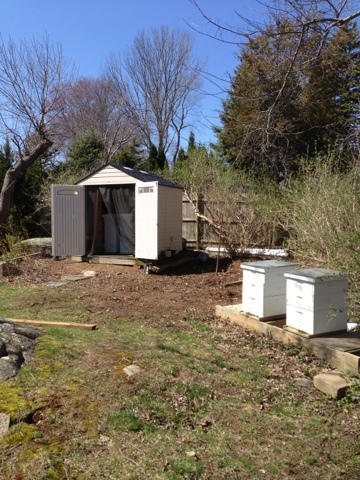 A look at one of my established hives today. They were very industrious! Stacked hive bodies and supers doing the paint cure overnight in the honey house tonight. 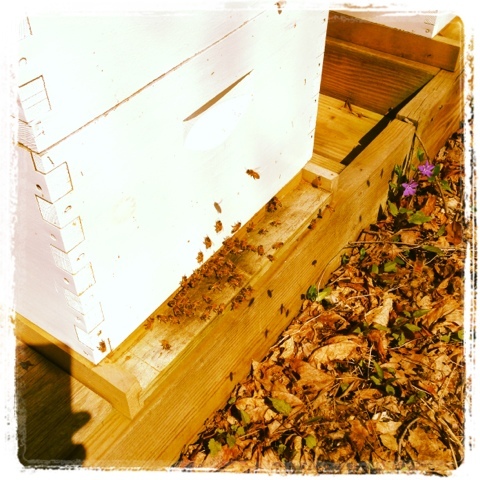 Eventually they will be put into the bee yard when new packages arrive in May. Because it was so cold down south, packages will be later-ish this year. last year I got my packages in early May but this year it is scheduled for a bit later. I'll be ready!